Real and fresh expression of blue agave. Crystal clear appearance. Perfect harmony and balance between aromas and flavors. Wide and complex variety of herbal, earthy and citrus notes dominate. Hints of tropical fruits and vanilla but overall cooked agave, sweet potatoes, black pepper, volcanic minerals and grapefruit. Smoky and tomato-like aromas, brisk flavor, and a lightly smoky, peppery finish. 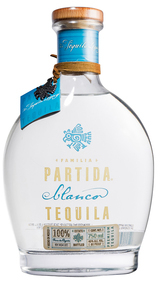 This smooth character has surprising finesse for an unaged Tequila.